The wide ZF product range offers transmission solutions specifically designed for the harsh requirements in oil and gas production. Pump systems in petroleum and gas production must work in a particularly uniform manner. Unintended speed fluctuations can destabilize the suction volume as well as the delivery pressure which, in a worst case scenario, can endanger the entire drill hole and lead to the interruption or even the failure of the conveyor line. Therefore, transmission systems that ensure a constant smooth operation, even under extreme pressures, torques, and application conditions and, as a result, sustainably minimize the risk factors are even more important. This functional diversity places the highest of demands upon the driveline, especially the transmission. It must be designed for powerful engines with a high input torque, gear changes must take place under full throttle without a tractive force interruption and "bucking". Furthermore, the transmission must be space-saving, light, and easy to assemble. 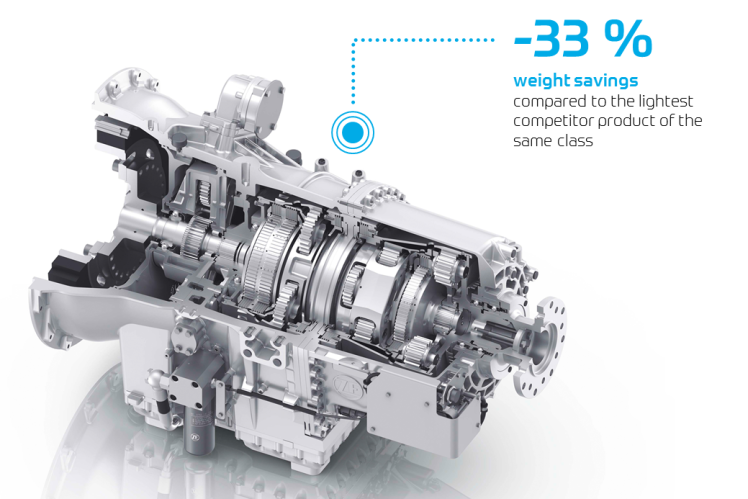 Thanks to the experience stretching back almost 100 years in the field of driveline technology, ZF Friedrichshafen AG also offers intelligent, tailor-made, and utilization-optimized drive solutions for this market segment.